All disciples of Jesus are called to ministry. What might it mean to do ministry in a way that trusts the power comes from God and not from us? Father, Son, and Holy Spirit… God IS community. 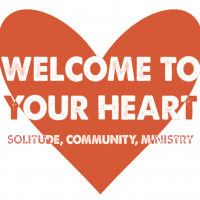 How does Jesus invite us to live out the community of God in our relationships with others? We can’t afford NOT to tend to our hearts. How does Jesus teach us to rest our hearts in God?